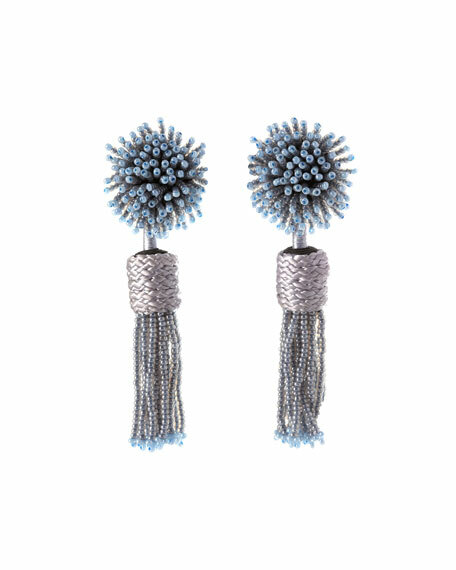 Mignonne Gavigan "Lana" statement earrings. Silk thread wrapping with glass seed beads and leather backing. Brass hardware with rhodium plating. 14-karat gold fill post backs. For in-store inquiries, use sku #2437078.